SALE Nevermore Patchwork Zipper Pouch: Edgar Allan Poe, Raven, Birdcage, Old Script. 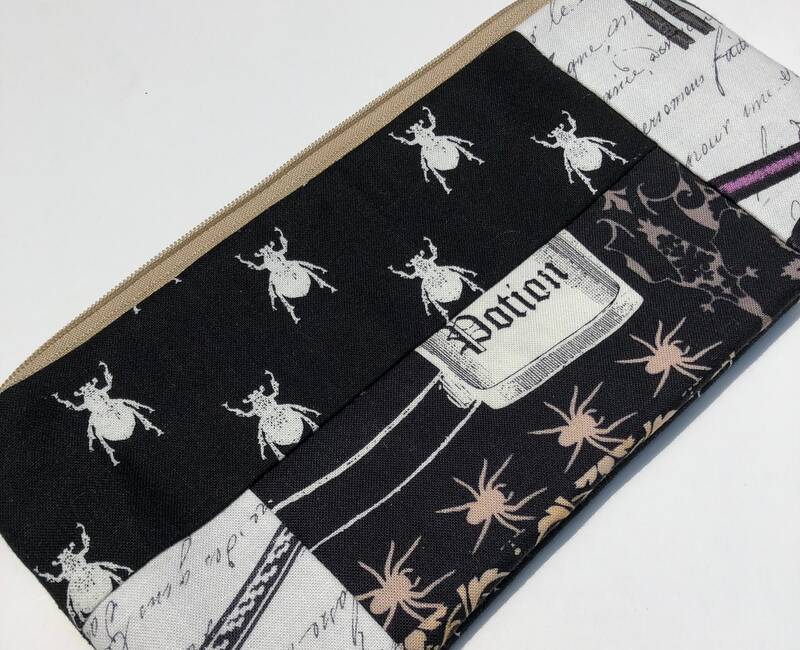 This zipper pouch was made using Michael Miller's Nevermore fabric. I combined different prints from the collection to create this patchwork effect. Each pouch made with this fabric will be unique! I gave the pouch a tan zipper and a solid black lining. Spiders and Spiderwebs Zipper Pouch: Halloween, Jack-o-Lantern Appliqué.